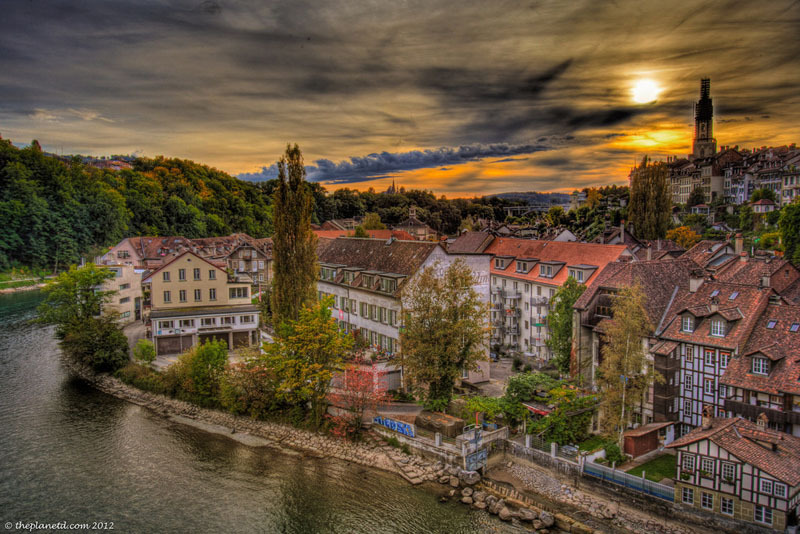 Dave took amazing Switzerland pictures from Lucerne to Bern and Interlaken to Geneva. When I look at this collection of Swiss photos, I am impressed by their variety. We already shared some Instagram photos with you from our time in Switzerland, but an iPhone can never compare to a photograph carefully crafted with a Canon DSLR. Dave used several different kinds of post-processing and photography techniques to achieve a variety of different views of Switzerland. Yes, I love Dave's shots of Switzerland. I enjoy throwing up my photographs taken on the iPhone for everyone to see our travels in real time, but I adore seeing his shots after the trip to really get a taste of the beauty of the country. To achieve different looks, Dave took his Switzerland Pictures using a variety of methods. 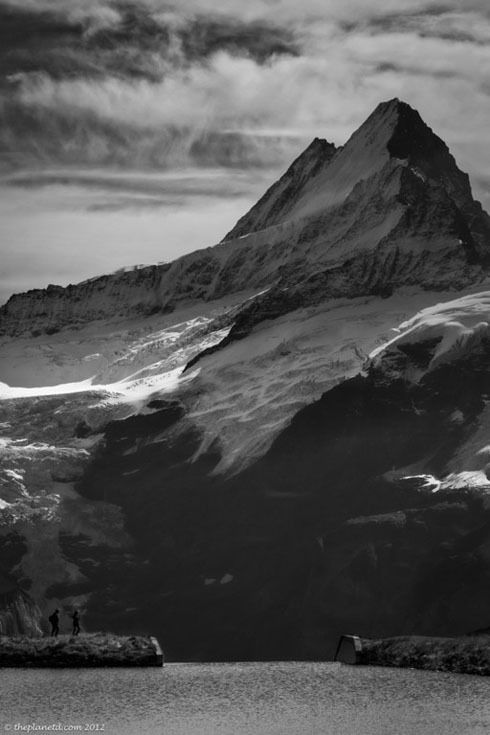 HDR photographs are always very dramatic but I also love his Swiss Alps pictures in Black and White and his selective colour photograph of the Swiss Countryside. 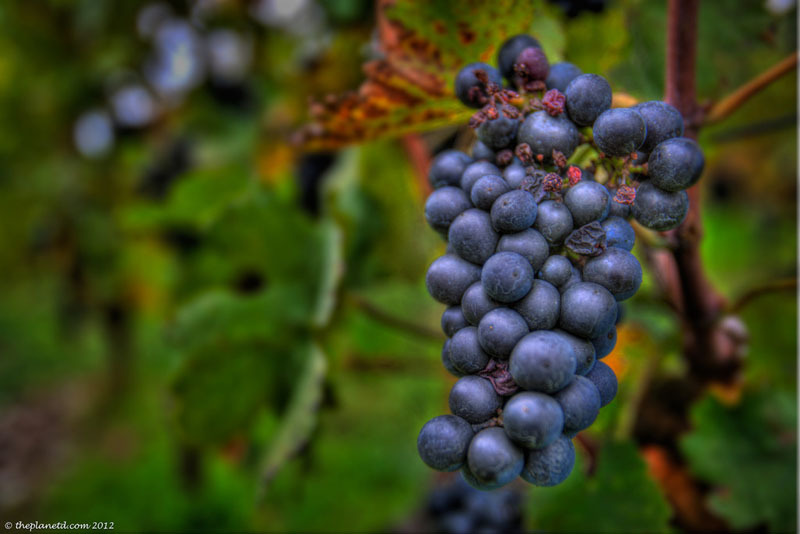 There's the use of a shallow depth of field when walking through a Swiss vineyard, a long exposure night shot of Interlaken and a good old fashioned picture where no post processing is used at all. 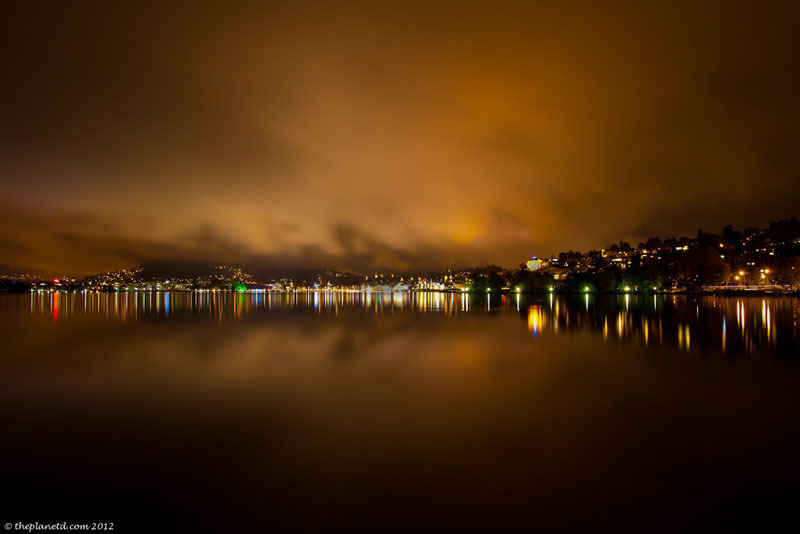 I love these Switzerland Pictures and they truly are the best of the best. Our trip and these Switzerland Pictures were made possible by Expedia.com. 54 Responses to "Our Best Switzerland Pictures"
Really amazing pictures, from which camera you have taken these pictures? 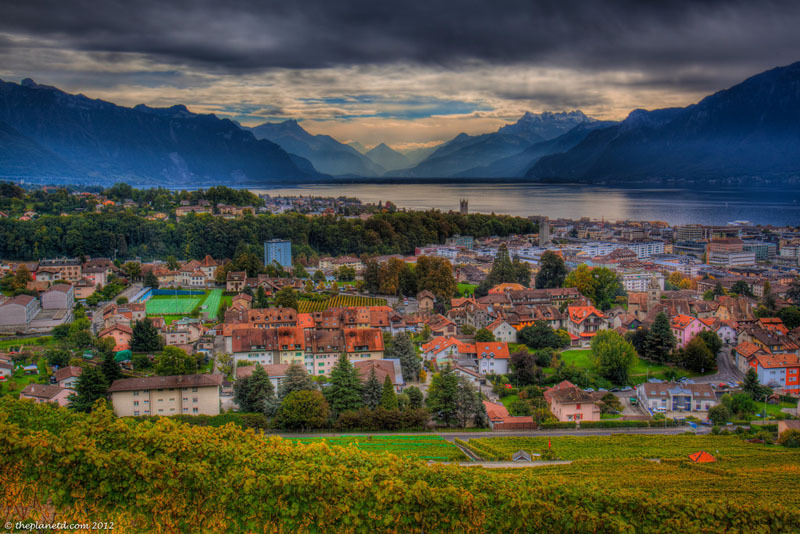 These photos are breath taking – just like Switzerland!! You’ve really done it justice and brought back many happy memories. 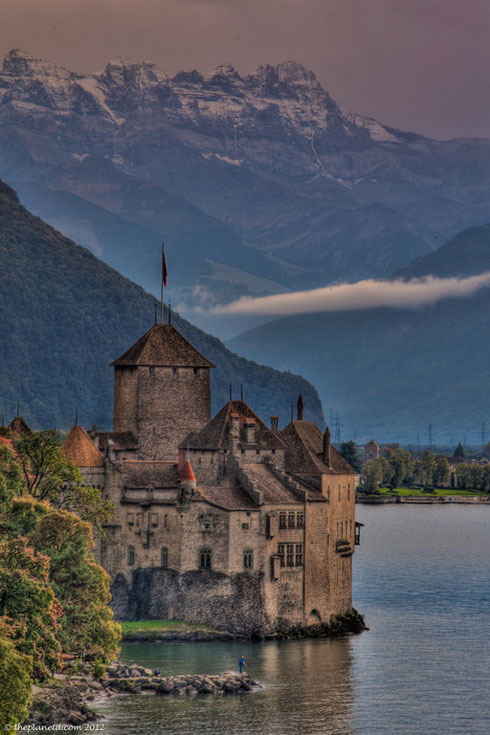 I especially love the photo of Chateaux Chillon. It looks so ‘moody’. I live between Switzerland & the UK and a lot of these pictures make me feel nostalgic. I liked the Chateaux Chillon a lot! Thank you. Owing a transfer company in Switzerland has it perks. We see this kind of scenery everyday. Thanks for the post. I really love this beautiful pictures,It’s amazing! The photos are beautiful and have a special light that gives them a surreal and unique. Really good photographer. These are stunning photographs with amazing colours although I am a little biased comming from Switzerland myself 🙂 I would love it if you checked my own posts about Switzerland and left any comments. Lucky you! Switzerland is a beautiful country, and I’m jealous of your economy. Everyone seems so well off there. Thanks for sharing your article, we’ll definitely check it out. I was born and raised in Switzerland. These pictures make me home sick. And I have lived more than half my life in the USA. Still, my family lives in Switzerland! So who is planning on going to switzerland? I always love seeing your photos, especially when they are of such a beautiful country. Many years ago, my grandmother painted a picture of Chateux Chillon so it was nice to see it from a slightly different angle. only been to Switzerland once, but loved it. 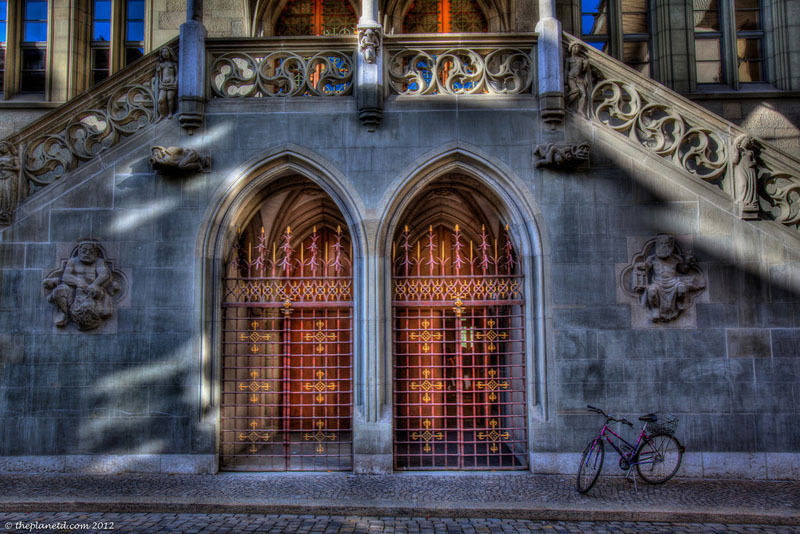 Your HDR shots are gorgeous, they all look like paintings! Nice photos, but way over photoshopped. It takes away from the picture. Wow, you’re right about the variety in those shots. I love the colours of them too. But I get the feeling you can’t not take a good photo of Switzerland because of those mountains. With a backdrop like that, every shot is just stunning!! I have not seen such a mind blowing photographs in my life.. simply awesome! Amazing photos as always. Switzerland is one beautiful place! Those are absolutely breathtaking views and I hope you consider taking those shots minus the awful HDR-processing, which is a fad and i’m sure in a few months or years you will agree 🙂 Or not..either way, thanks for sharing! These are awesome pictures.I am so much impressed by the detailed photography you have done here and the views are awesome.I really enjoyed a lot watching them.Very good job.You guyz are doing awesome work.Keep up the good work. 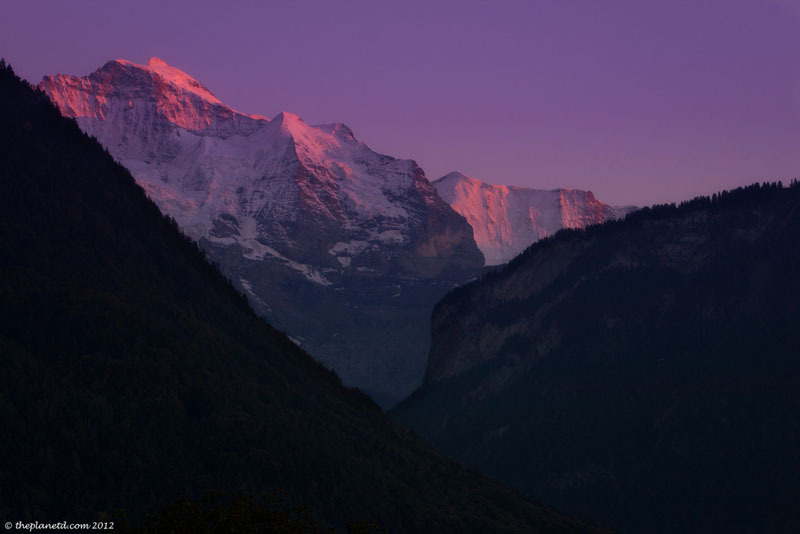 My favorite place Switzerland looking so beauty in your Photo Collections. Never Seen such a collection of Switzerland Images. Looking So Beauty. Wow Very cool Pictures. Its add more beauty to Switzerland. Wonderful collections..
Get Cheap & Best Indonesia Hotels for your favorite Vacation. Stunning! Love Switzerland that’s why i keep coming back to the place..
Those are stunning captures!! Somebody please transport me to Switzerland!!! You have shot the magnificent place so well. I love the HD photos. The Chateau and Lucerne at Night are awesome. These are some amazing photographs. Switzerland has some of the most beautiful and dramatic landscapes, images you would think came from a movie. Dave is truly a great photographer and these photos are simply stunning! 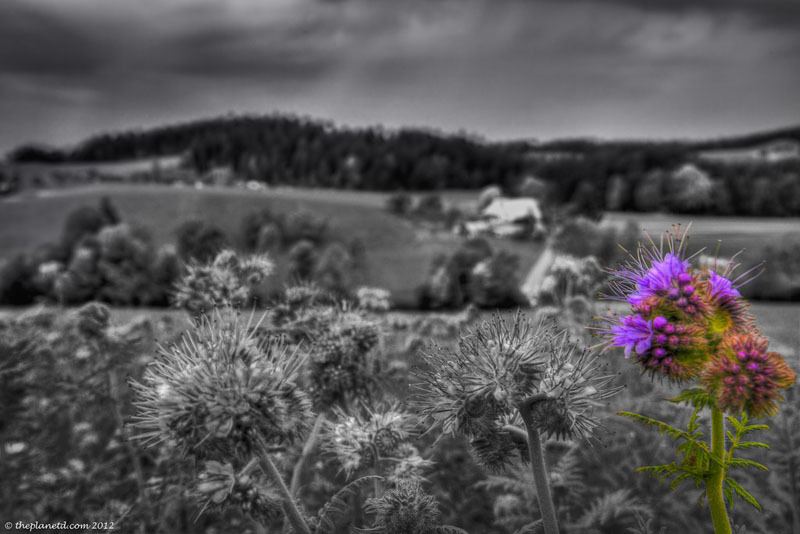 The black and white with the purple flower and the night shot of Interlaken are my favorites. 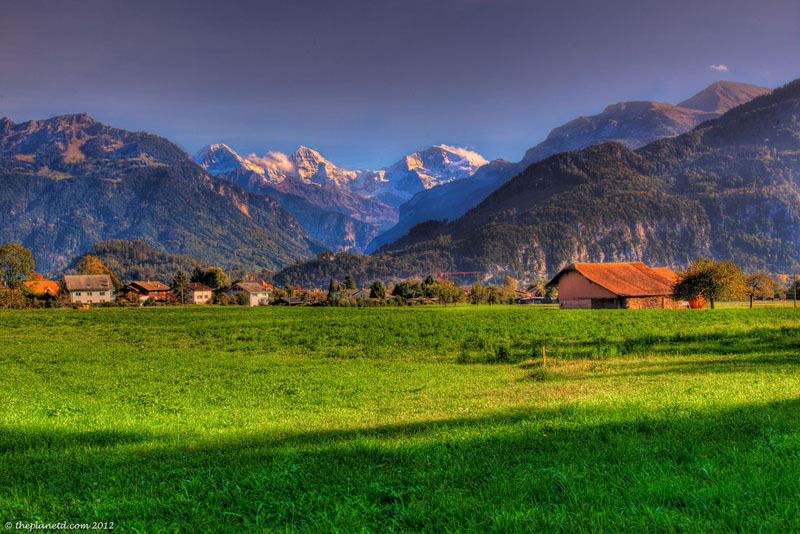 Fantastic shots, Switzerland has a good share of natural landscapes! Amazing photos, as usual! I especially love the one of the wine terraces – so pretty! 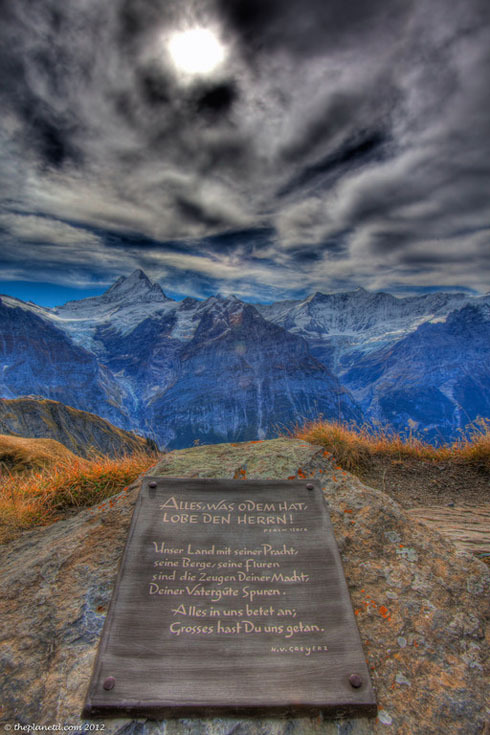 Now that people is how to promote Switzerland in photos – truly remarkable what you have captured. If I worked for the Swiss tourism board I’d be contacting you immediately. 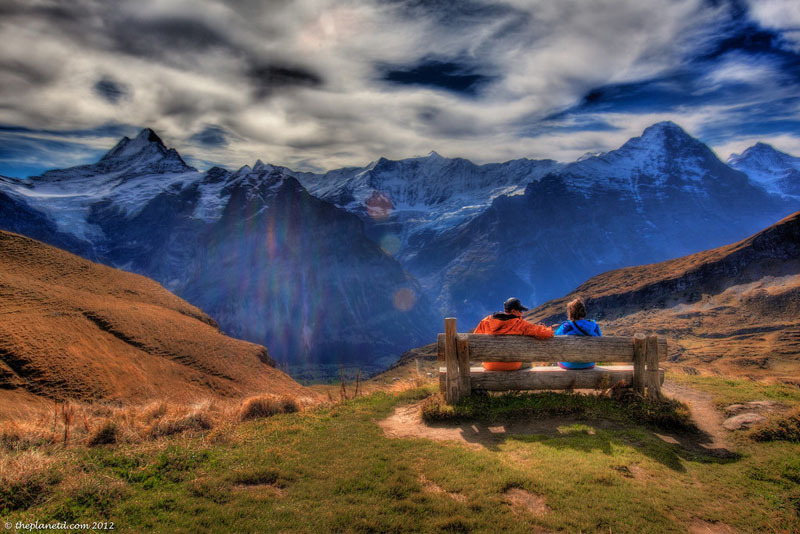 I’d give anything right now to be sat on the bench looking out at the Swiss Alps. Switzerland looks so gorgeous. I hope to make it here soon! I adore Switzerland and these photos really express how beautifully perfect it is. WOAH, these are stunning. I need to get over my fear of travelling to cold places. I’m in love with these photos! Been a while since I checked the site (self-imposed mini digital detox), I think the last post I saw were the photos of the Grand Canyon (with all the light pouring in…I wish I could remember the exact name). These are absolutely stunning, some of them even look like paintings. I love the plant (thistle?) in colour in the foreground with everything else in black and white, the first two of Bern, and the one of Interlaken the best (the mountain in the background is a fantastic effect). Needless to say I’ll be checking in more often now that I’m fully back online! Those photos are absolutely stunning. Wow. Absolutely incredible. I could learn a thing or two from you! Typical Switzerland is right! Every way you turn in Switzerland is another fantastic sight. Loved your pictures. Simply gorgeous. 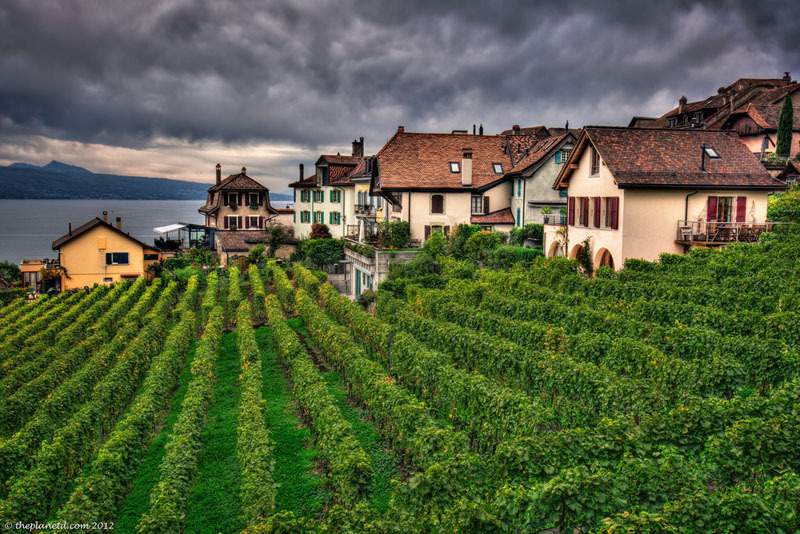 I loved the wine terraces in Lavaux, I was there last fall and the colors were incredible! I lived in Switzerland for over four years. These shots certainly make me yearn for the mountains. Great job capturing the beauty of the countryside. Cheers! Stunning, stunning, stunning! 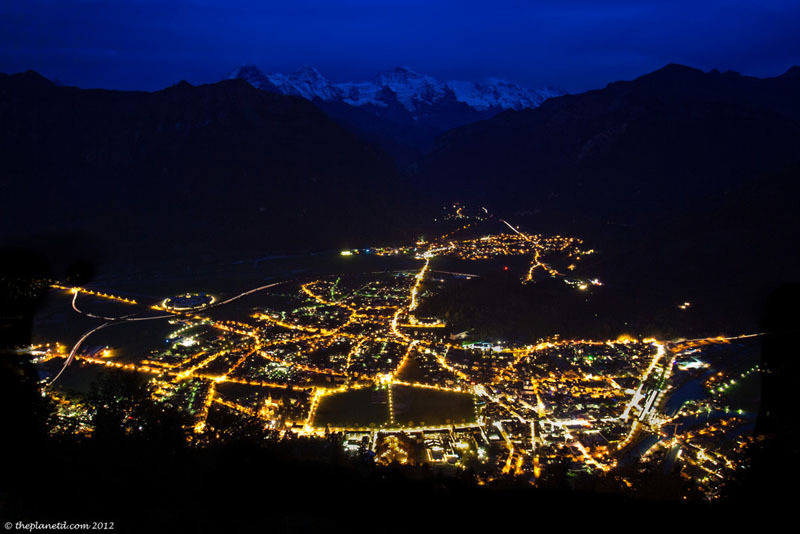 I particularly love the one of Interlaken at night – amazing shot!